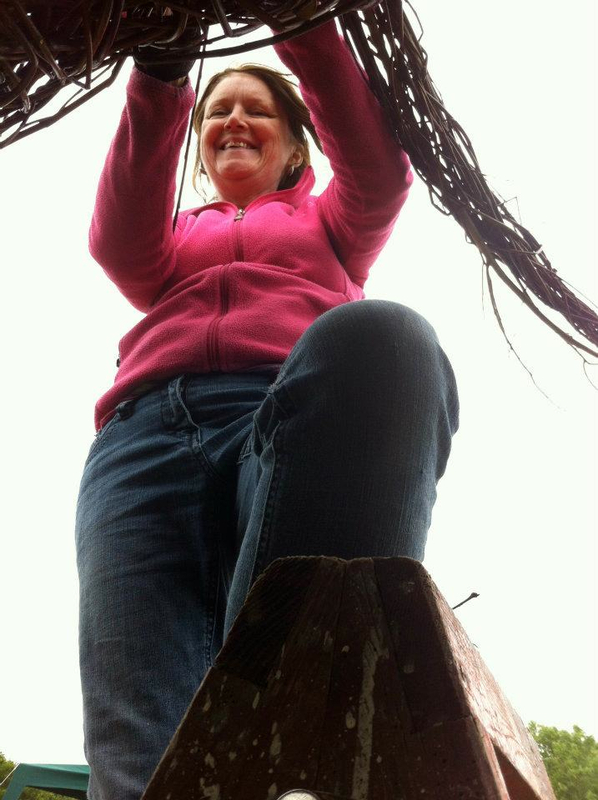 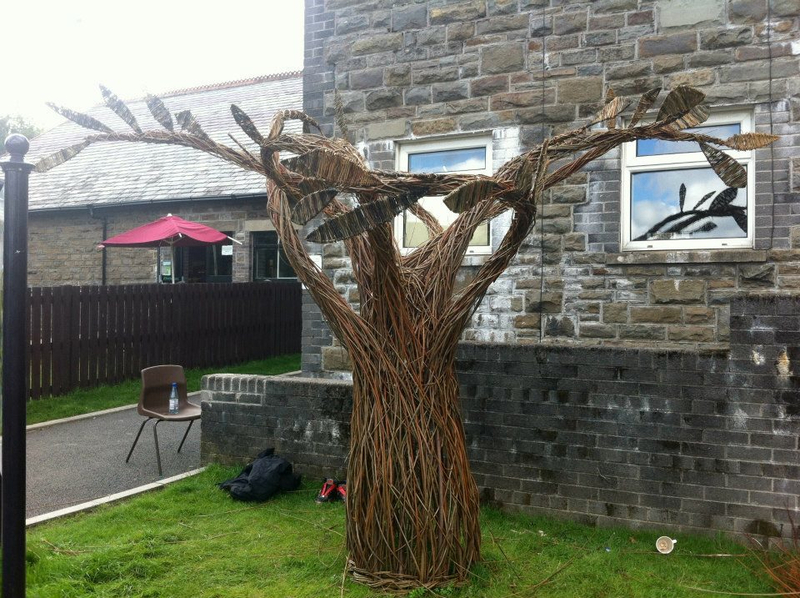 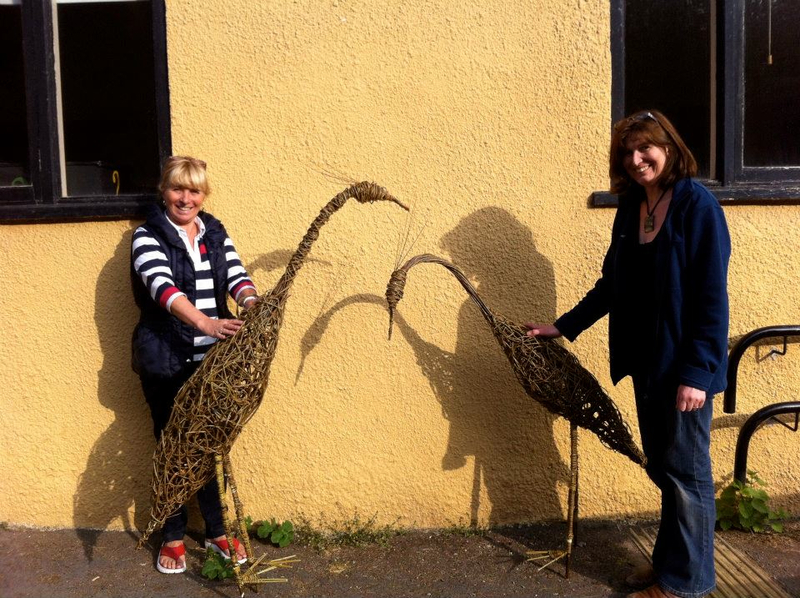 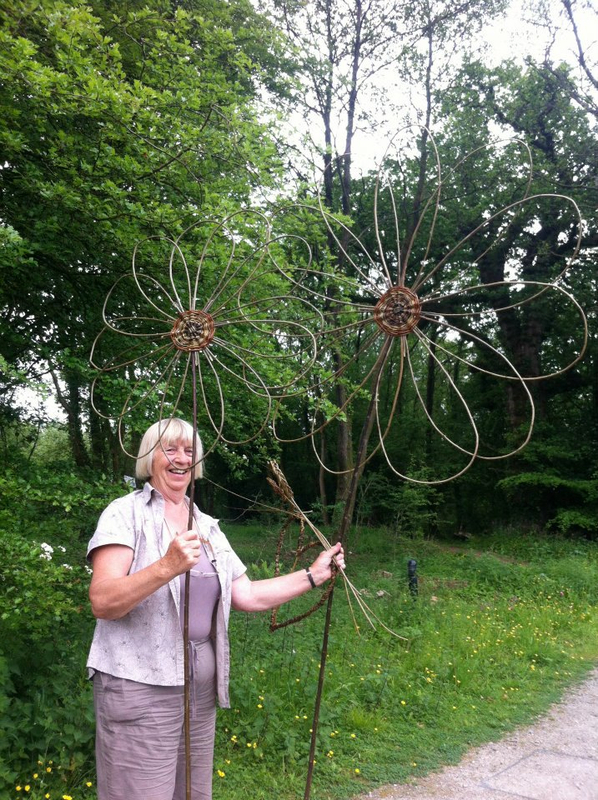 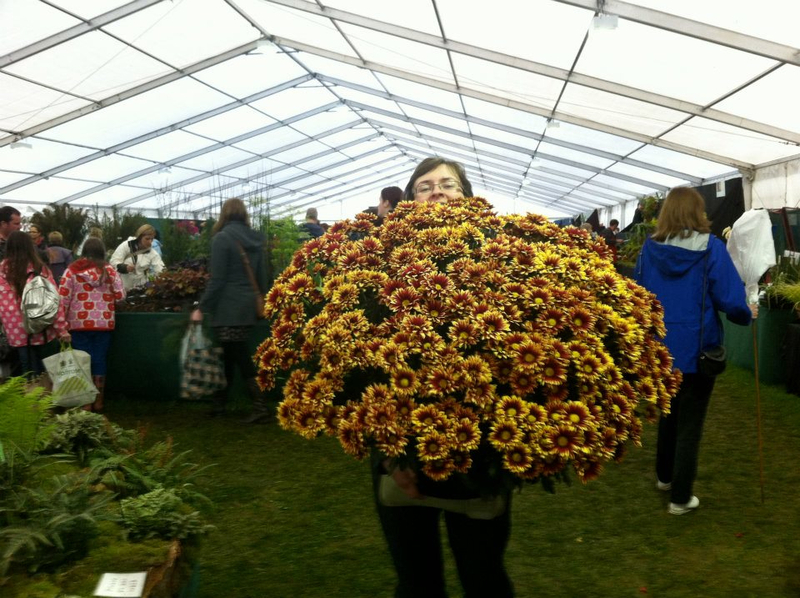 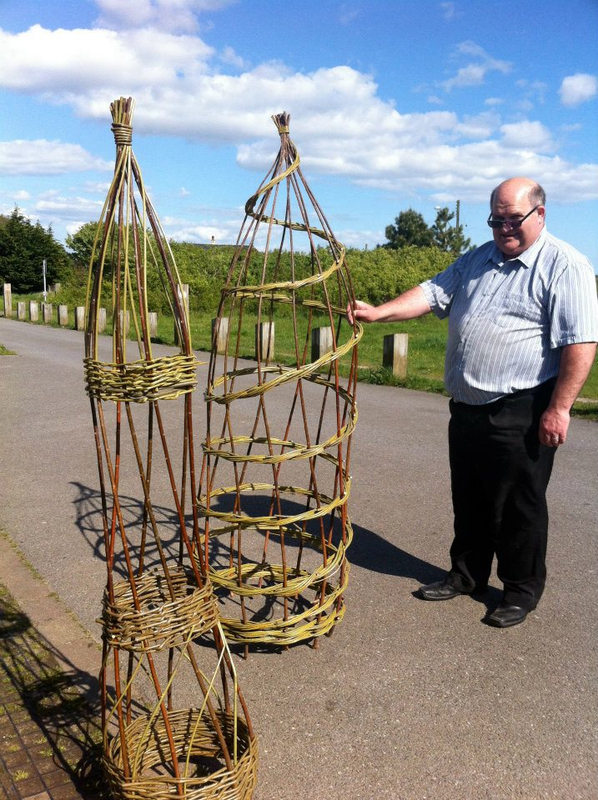 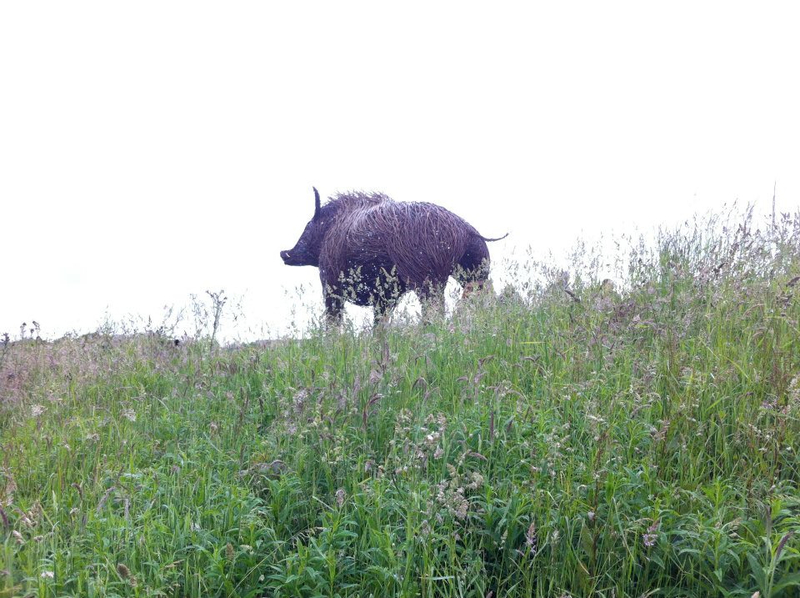 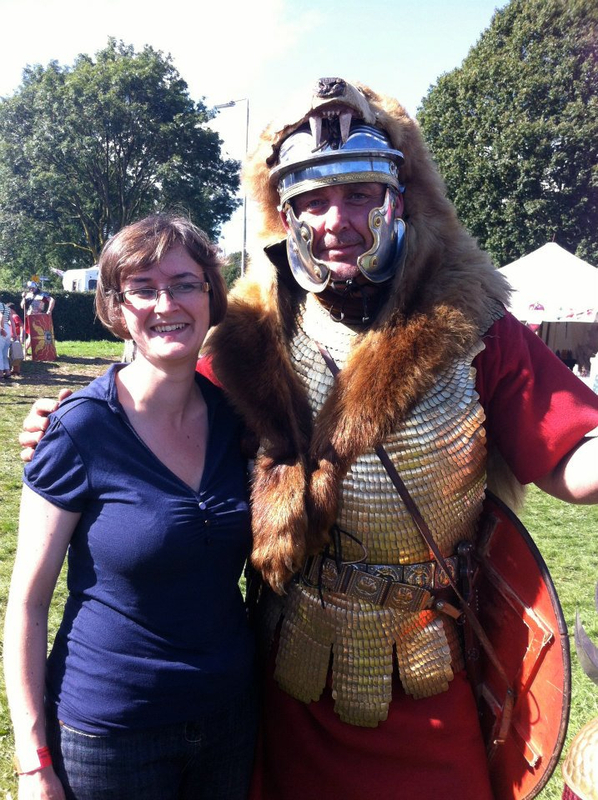 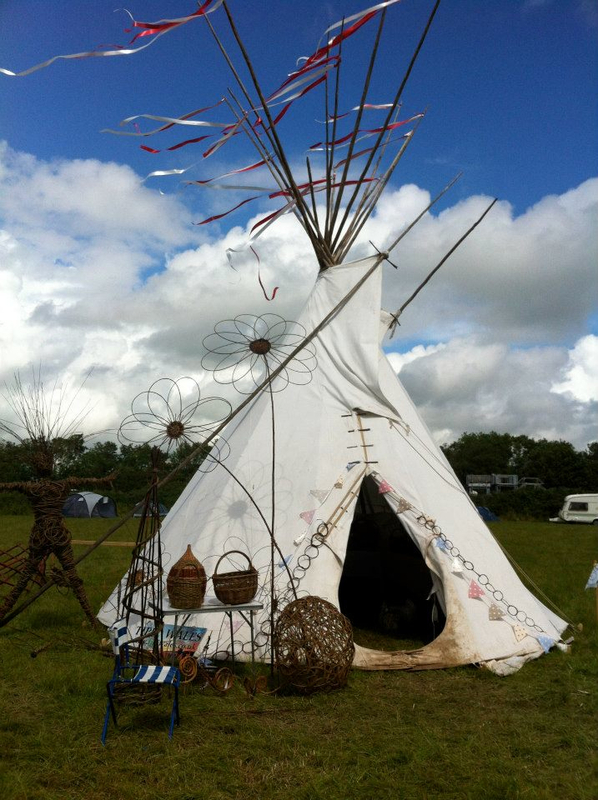 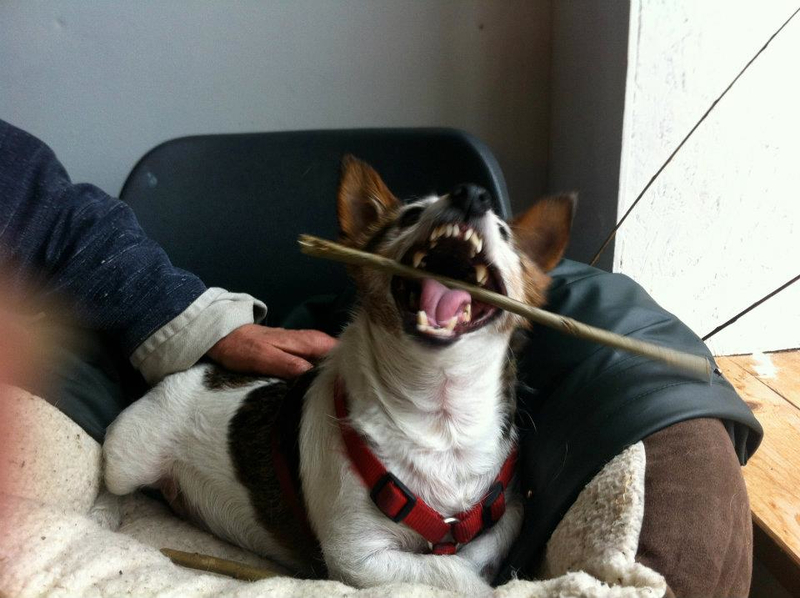 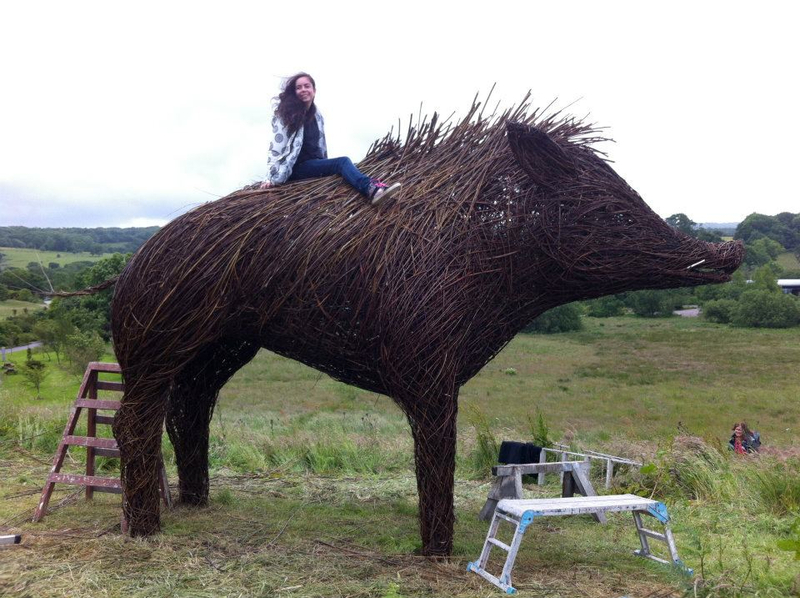 JUNE – the Olympic cows (yes cows), more baskets, sunflowers, Wool & Willow festival, BA Summer meeting, exhibiting at St Clears, making a giant willow boar, Open Farm Sunday, Willow Bark with Terry the Weaver and Tuppence the willow weaving Terrier – a very busy month! 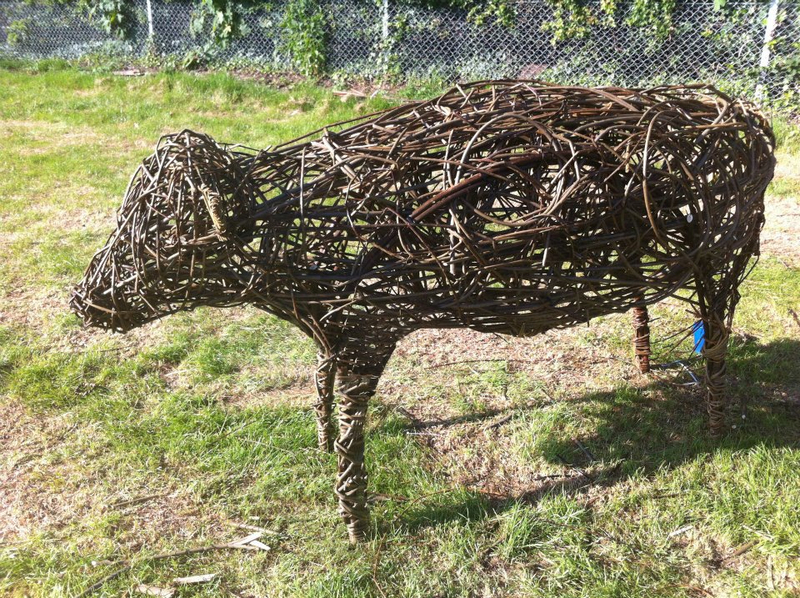 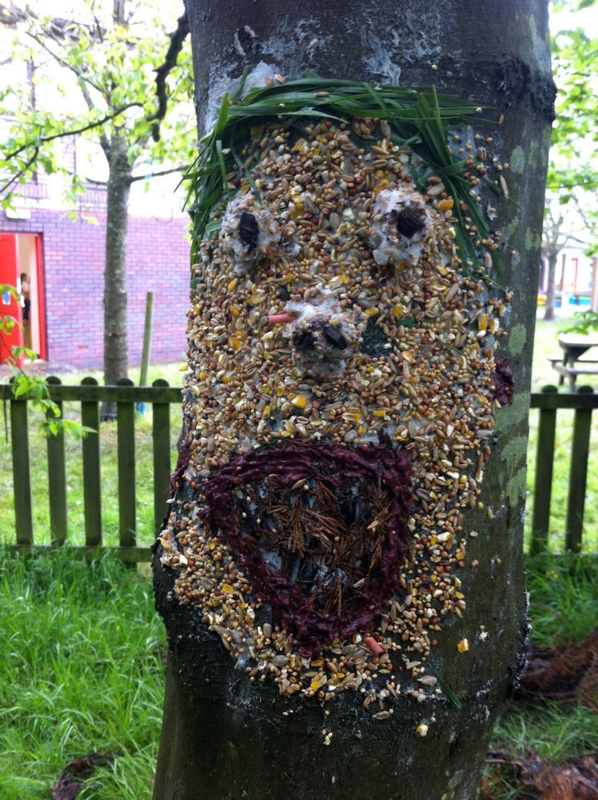 June kicked off with a lovely project at a Special Arts School in Northampton where we were asked to make a sculpture of a willow cow to celebrate the Olympics… It was a blistering hot but lovely day and we ended up with one finished cow and another well on it’s way made entirely by the children. 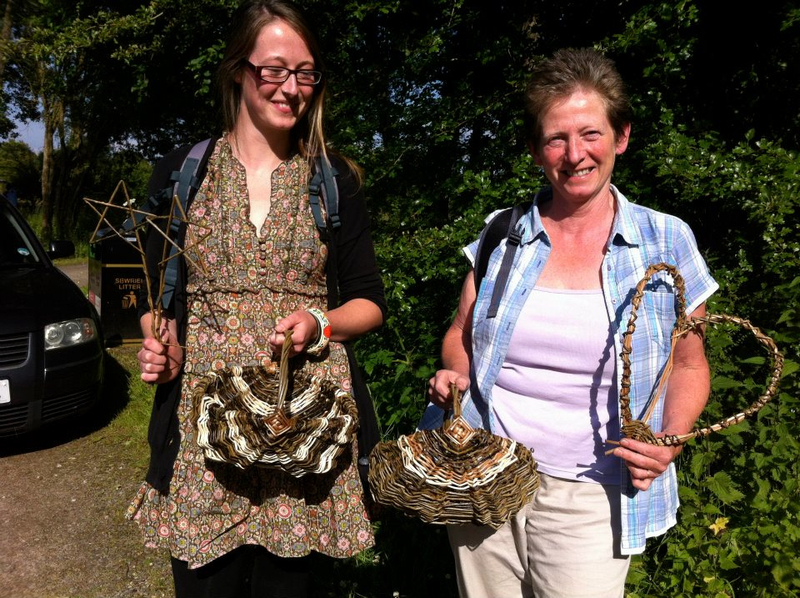 The cows had to be small enough for them to be carried in a parade. 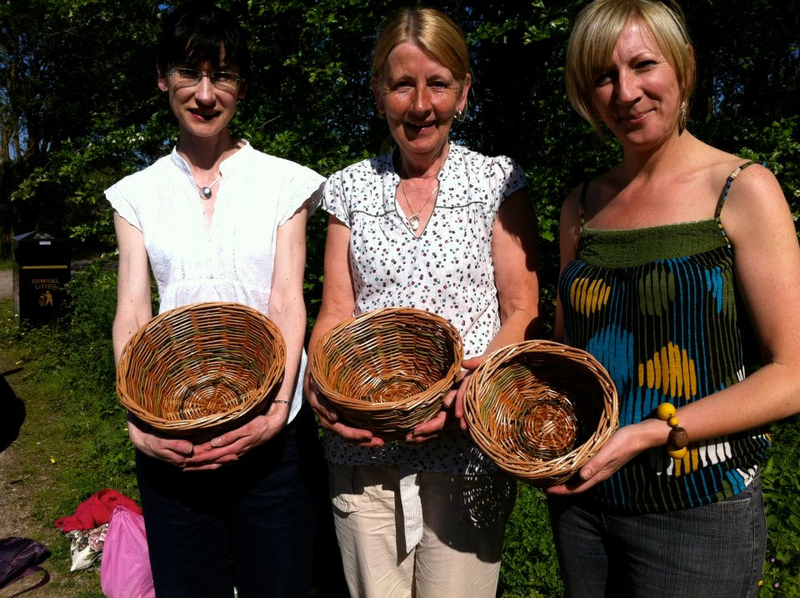 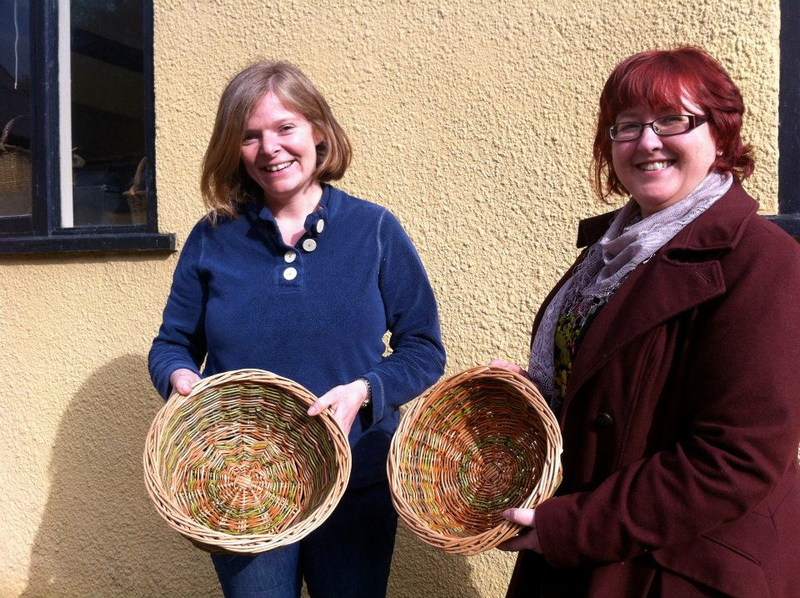 We also run willow courses for the National Botanic Garden of Wales and this month was lovely Sunflowers and Basket Making for Beginners. 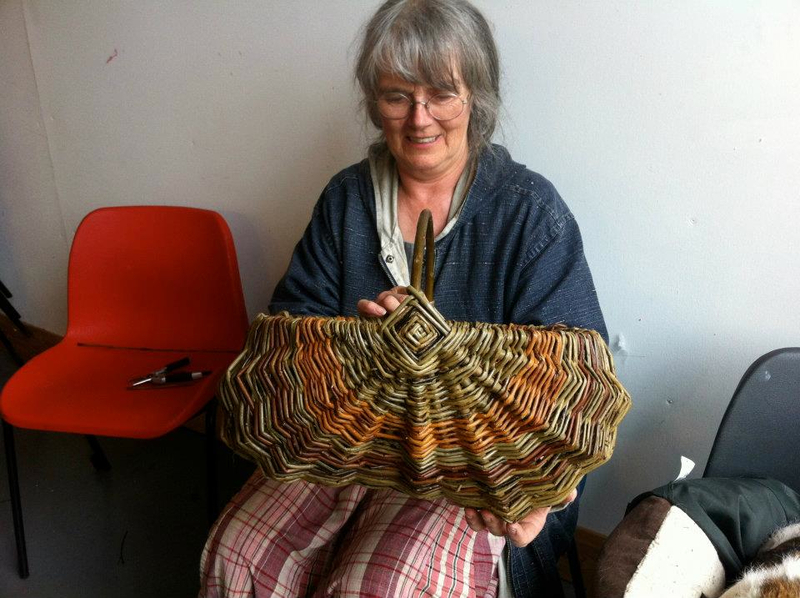 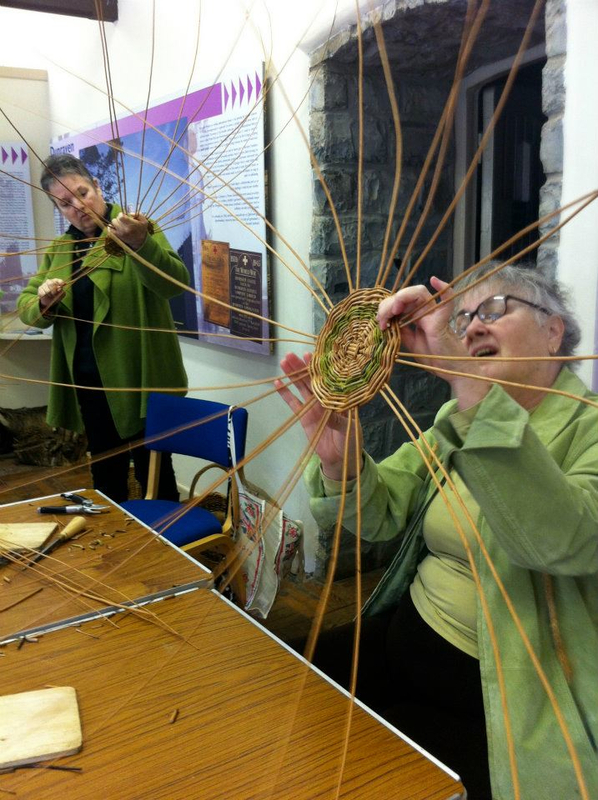 June is the month for the Wool and Willow Festival in Llanidloes held in the Minerva Arts Centre. 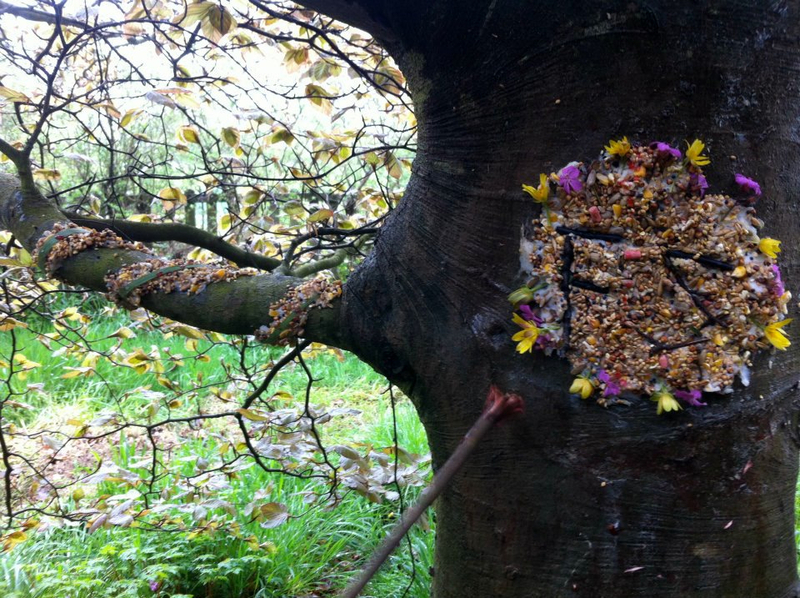 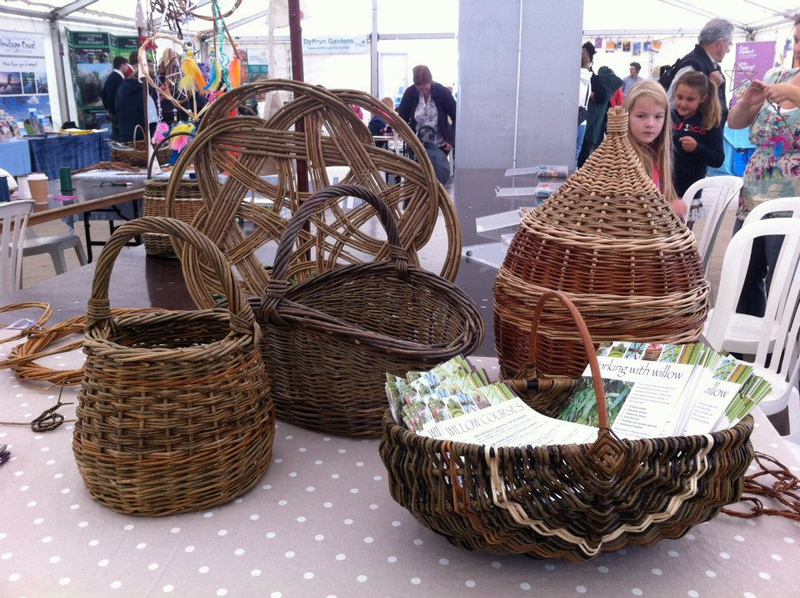 The exhibition runs for the whole month of June and is a lovely showcase for local crafts. 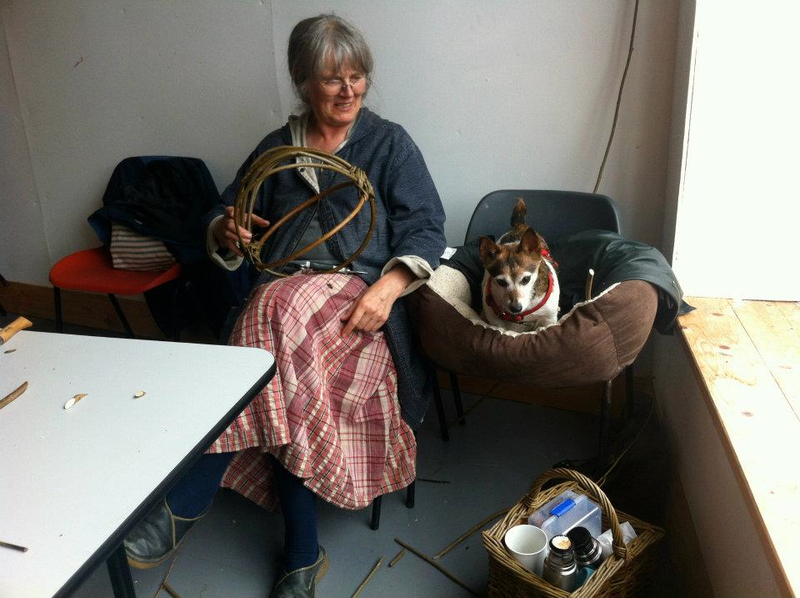 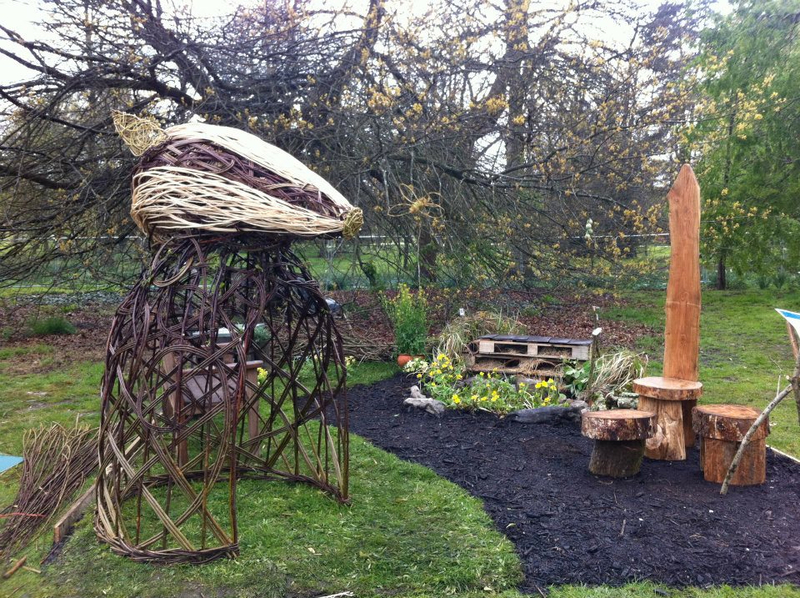 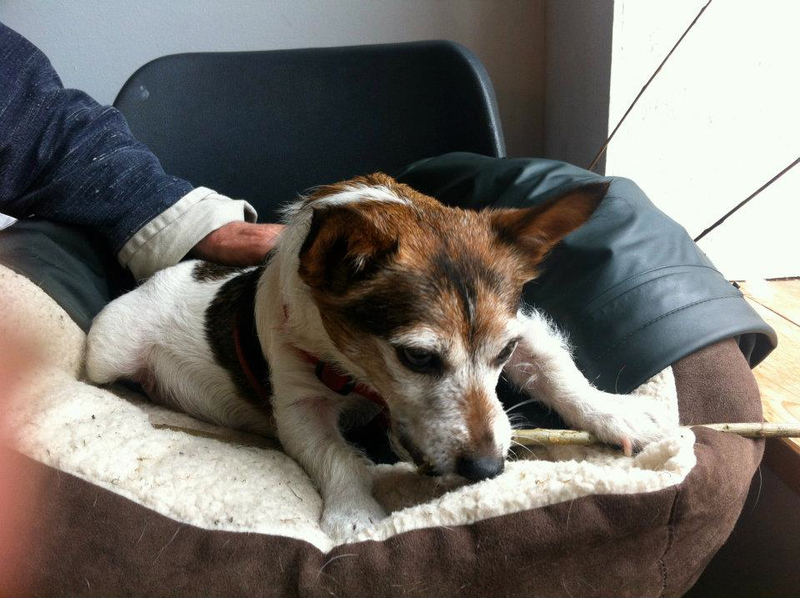 There are lots of workshops that run alongside the exhibition, ours was the Willow Frame Baskets and we were lucky enough to have our first willow weaving dog attend, Terrence the rather fetching Terrior. 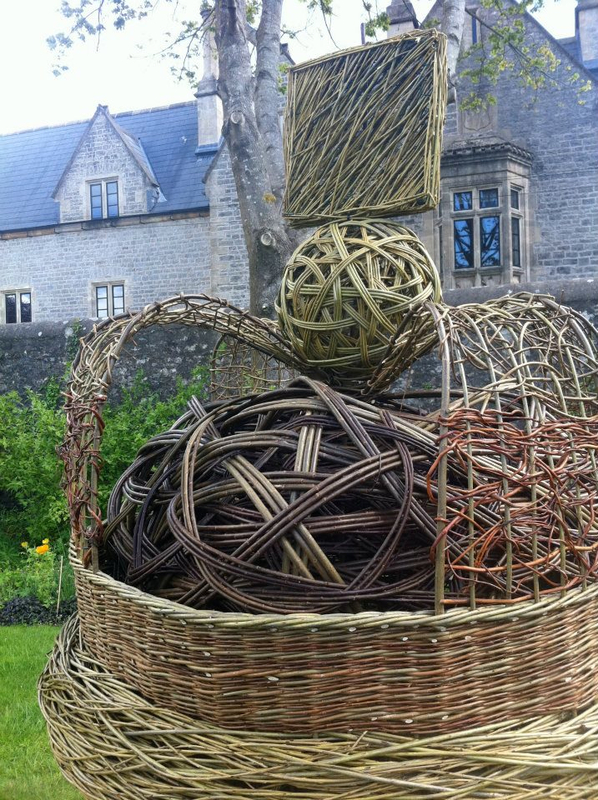 At the end of the month we took part in the Big Basketry Gathering which included the BA Summer meeting held at the National Botanic Garden and the week prior to that several welsh basket makers got together to help willow artist Michelle Cain make a giant willow boar which stands about 16 foot tall at the gardens. 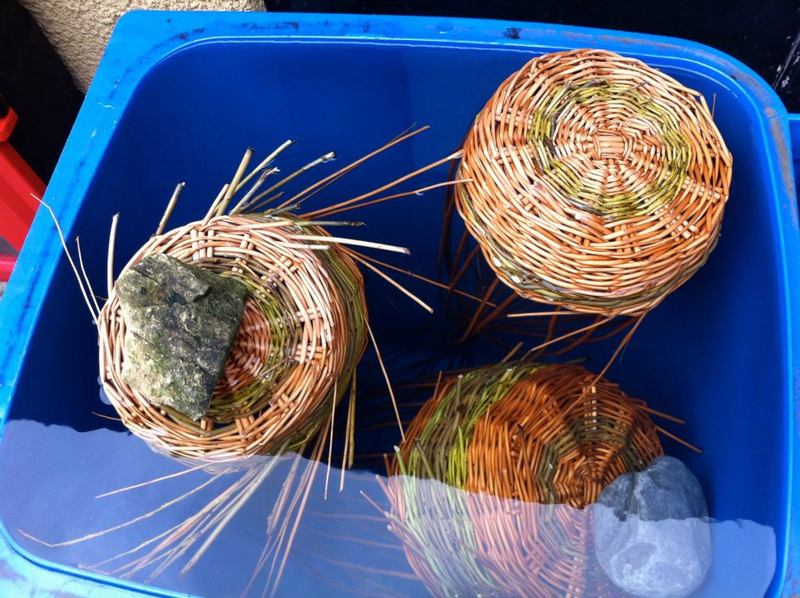 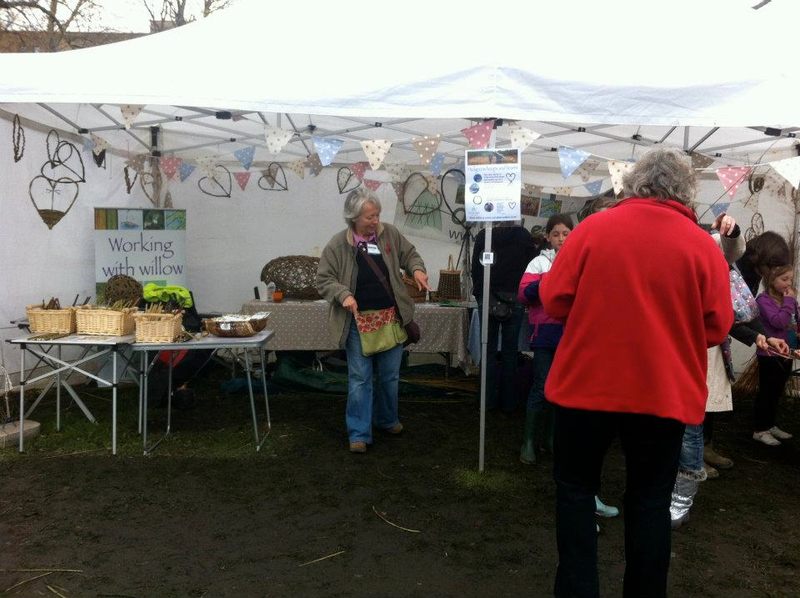 The gathering ended with some lovely workshops, Coracle making, the Tea Things basket run by Helen Campbell and a really interesting Willow Bark course by Terry Dunne. 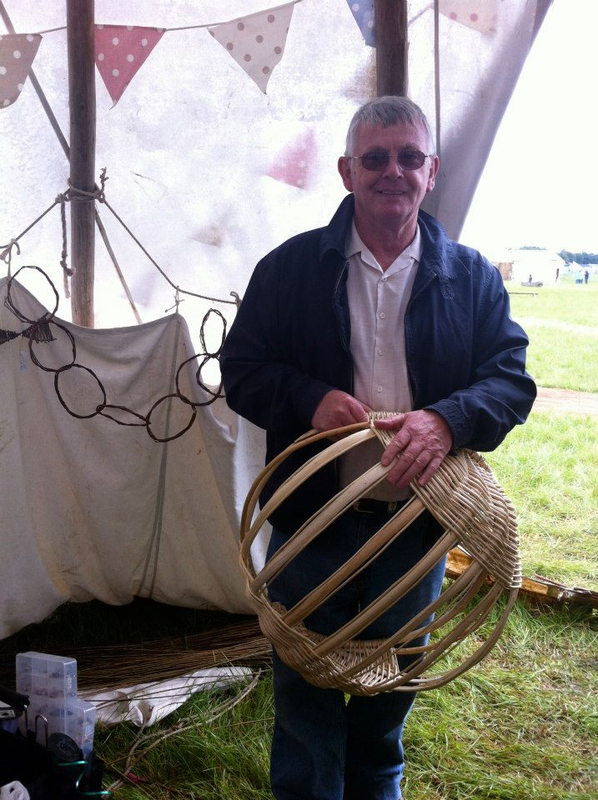 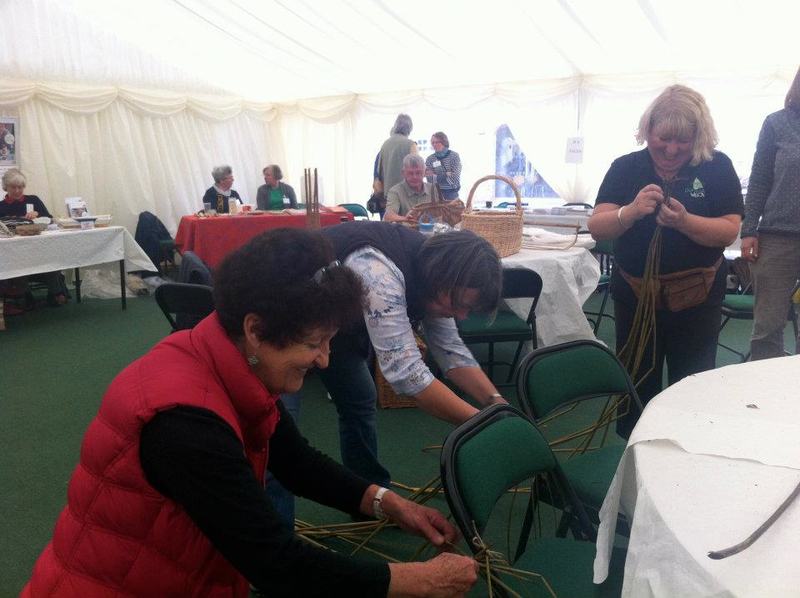 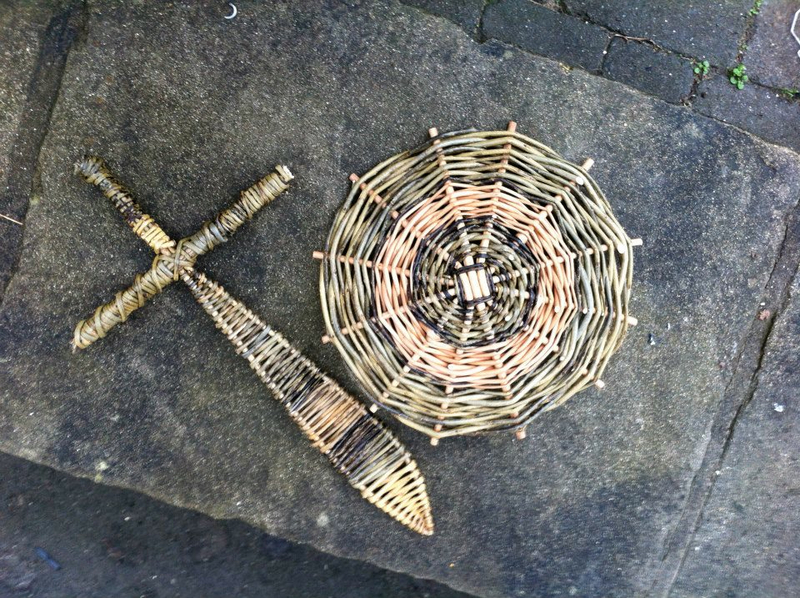 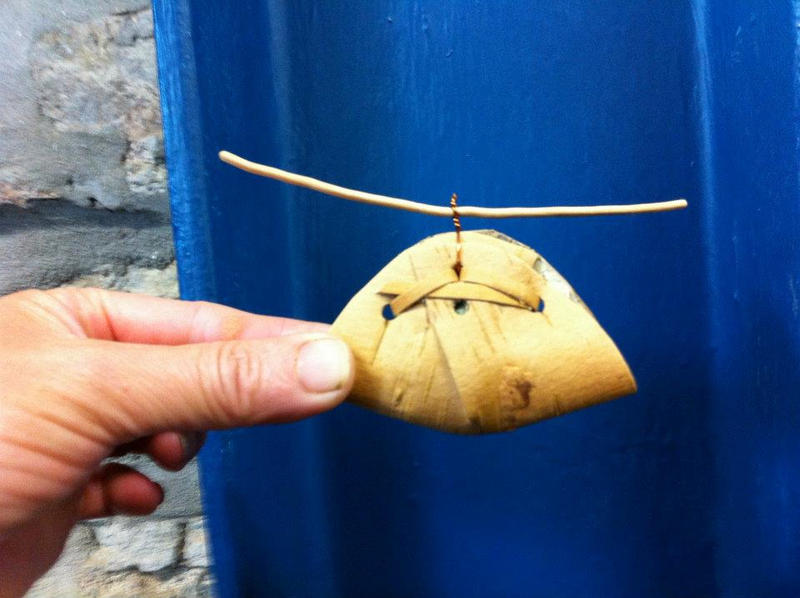 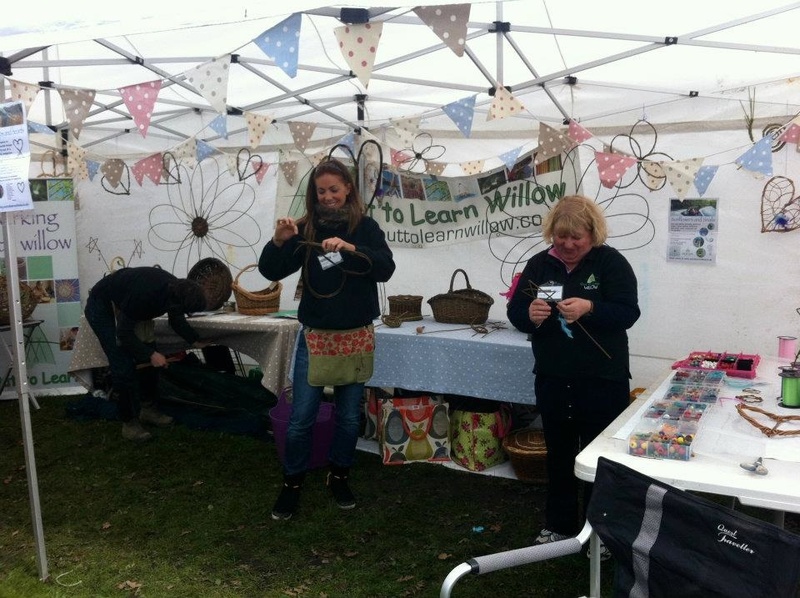 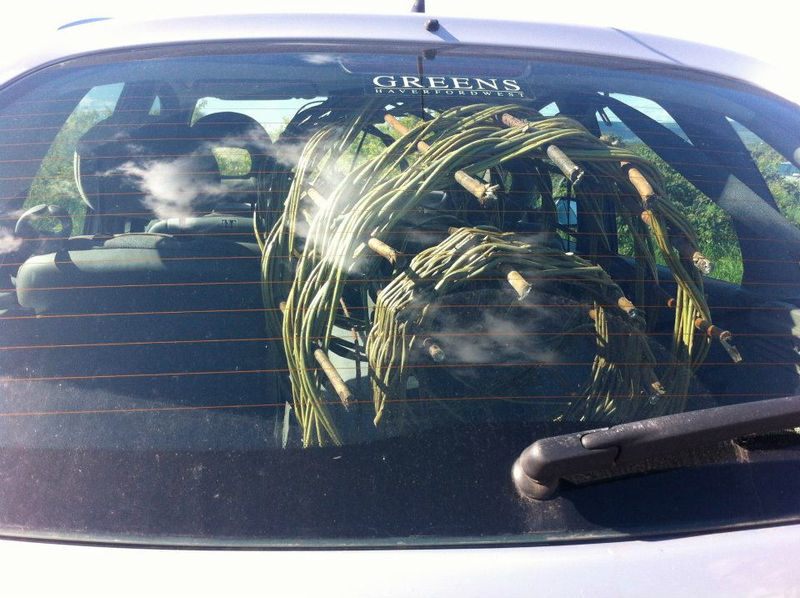 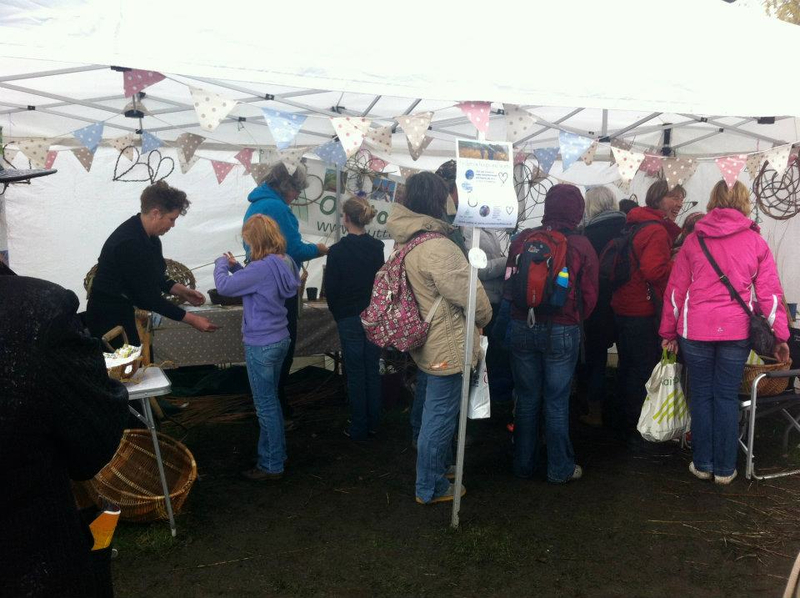 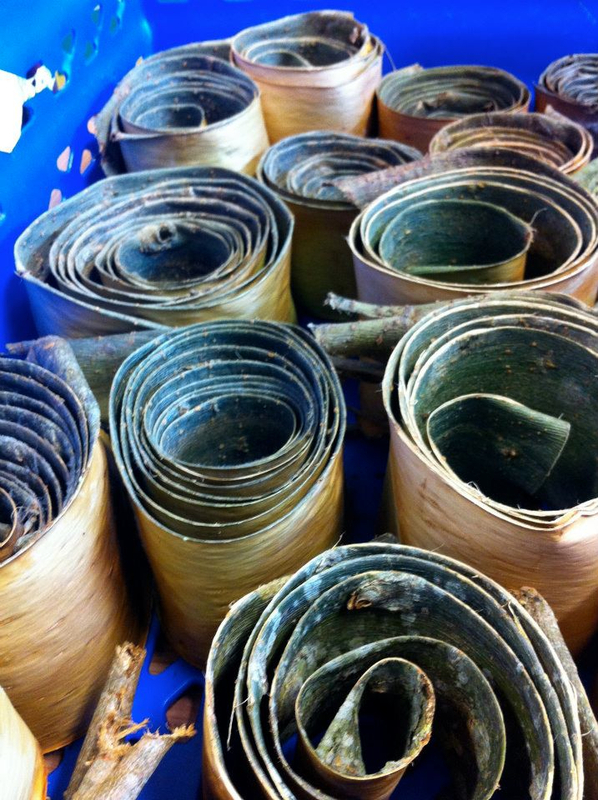 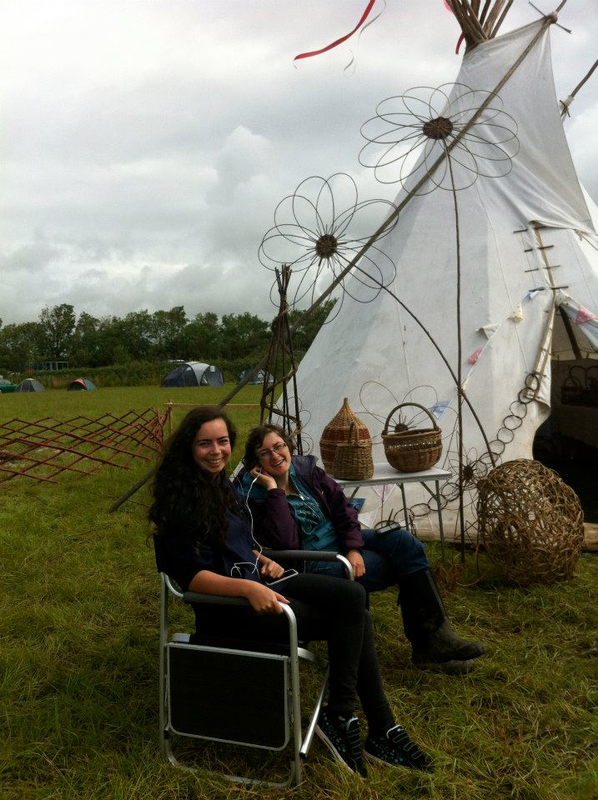 The workshops were both really interesting, Helen Campbell showed us how to make a traditional Welsh Tea Things basket and Terry Dunne showed us how to harvest bark from two year old willow rods then make beautiful things out of it, yet another use for willow!